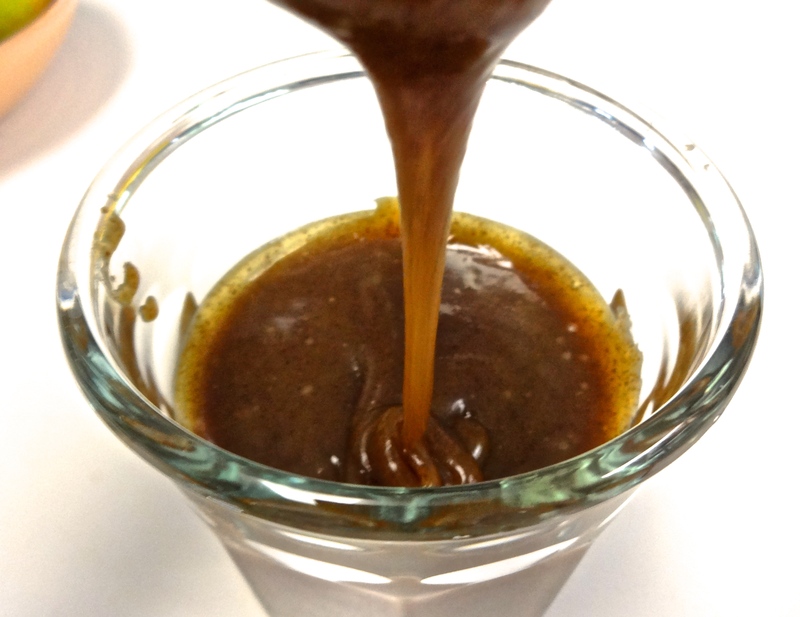 Before I was vegan, I used to make a creamy caramel dipping sauce this time of year. Sometimes we’d pour it over ice cream, but usually we served it with a platter of crisp apple slices. It was one of those old favorite treats that I missed after I was vegan…that is, until a few months ago, when I came across a wonderful vegan version on the Blissful Basil website. 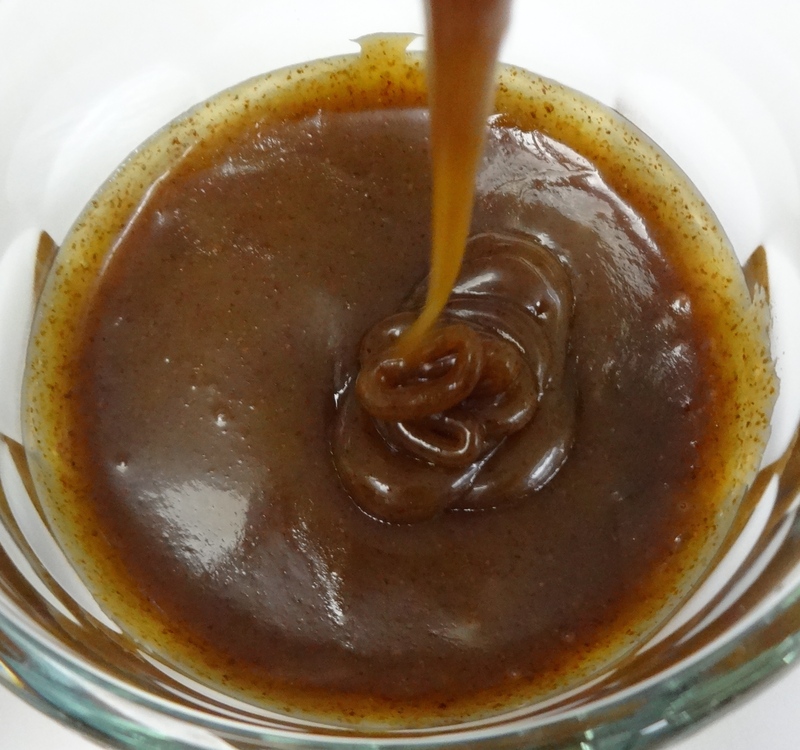 This sensational vegan caramel sauce is rich and drippy and divine, and of course, made without butter, heavy cream, or saturated animal fat. I like to add a dash of nondairy milk and cinnamon, and remove the coconut oil in my version. It’s pure heaven, especially while still warm and gooey. Let’s be honest…it’s pretty great at any temperature. But my favorite way to enjoy this caramel sauce is still along with sliced tart, crispy apples in the Fall. Just remember to stir this mixture continually while cooking, until super smooth and creamy. Then prepare to be amazed. Whisk all ingredients together in a small saucepan, and bring to a boil. Lower the heat, and continue to simmer, stirring continually for about 3 or 4 minutes, or until mixture is very smooth and creamy. Turn off heat. Allow the sauce to cool slightly before serving. The caramel sauce will continue to thicken as it cools. Serve with fresh apple slices or over nondairy ice cream. Refrigerate leftovers, and either reheat in a saucepan, or enjoy as is! (Inspired by Five Minute Vegan Caramel recipe at Blissful Basil.com).